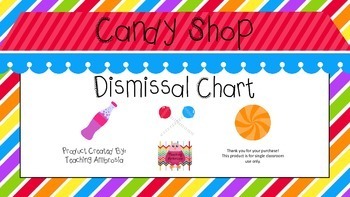 This product is a colorful candy shop themed dismissal chart. 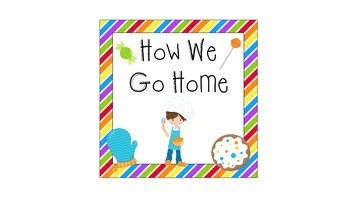 Each piece can be hung separately or strung together with ribbon. Each child has a clothespin with their name (or assigned number) that clips to the chart. 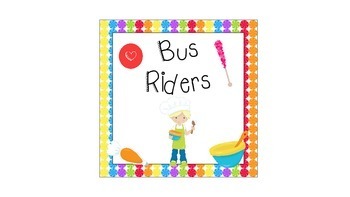 It's an easy way to keep track of where everyone is going and can easily be changed if means of transportation change throughout the year. 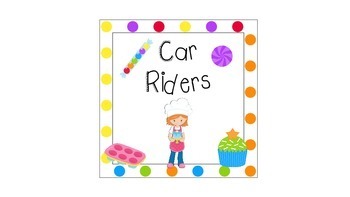 Check out my store for more candy shop themed products!